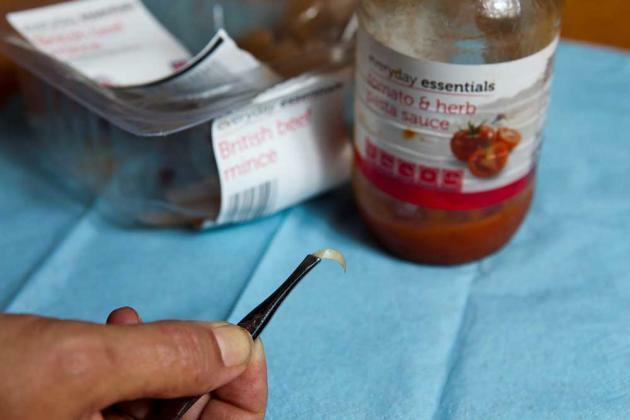 A shopper has spoken of her disgust after finding a toenail in a jar of pasta sauce she bought from discount supermarket Aldi. Tracy Arnold had just whipped up a spaghetti bolognese when her 22-year-old daughter screamed at the sight of a huge toenail sticking out of the family dinner. Mrs Arnold, who had brought the sauce yesterday, was completely shocked by the "disgusting" discovery, which she had initially thought was a piece of gristle. She quickly realised the grim object was a toenail that had either came from the pasta sauce or from a packet of minced beef she had bought from the Aldi store that morning. The next day she took the toenail to the supermarket in Wisbech, Cambridgeshire, where staff were left horrified by the discovery. 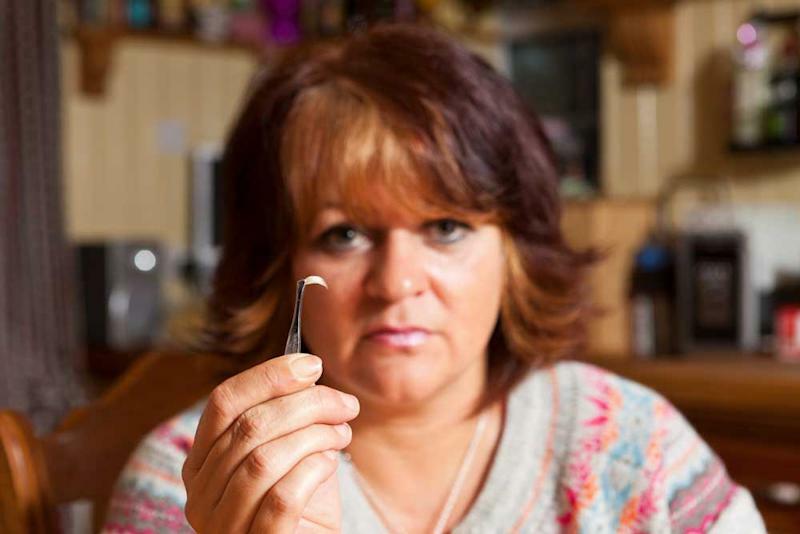 Mrs Arnold, of Wisbech, said: "It was the most disgusting thing I have ever found in food in my life. "She thought at first that it was a bit of gristle but it was clearly a man's toenail. "It was huge, it looked like it had been cut." A spokeswoman for Aldi said: "We work hard to provide high quality products for our shoppers and take customer complaints very seriously. "We have requested that Mrs Arnold returns the product to store so that we can investigate the matter further with our suppliers."